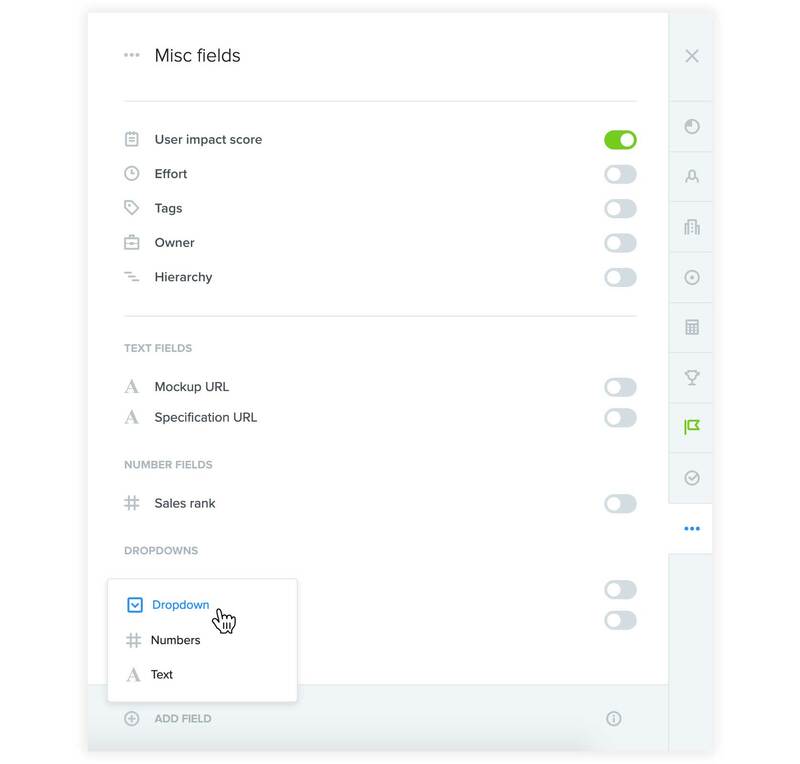 If you use productboard to manage what functionality you'll add to each of several platforms (e.g. iOS, Android, webapp), screens (e.g. iPad, iPhone), or devices (e.g. Acme Consumer, Acme Pro), you'll want a way to keep track of where each feature will be made available. How much does functionality on your platforms, screens, or devices overlap? In many cases, much of the functionality going to each platform, screen, or device will be the same, with only some deviations that need to be tracked. In cases where there's less overlap in functionality, it may be preferred to use productboard "products" to distinguish features intended for each platform/screeen/device. If a feature will be delivered to one platform only it can go in that product. If it will be delivered to all platforms, add it to a generic product containing features for all platforms. This may be preferred to duplicating the feature, as doing so mutliples the effort required to manage the feature in productboard. You can use the Hierarchy filter to show only those features to be delivered to a certain platform. If each platform is on a different release schedule, you can manage this with release groups. This allows you to manage different sets of releases out of the same productboard project.